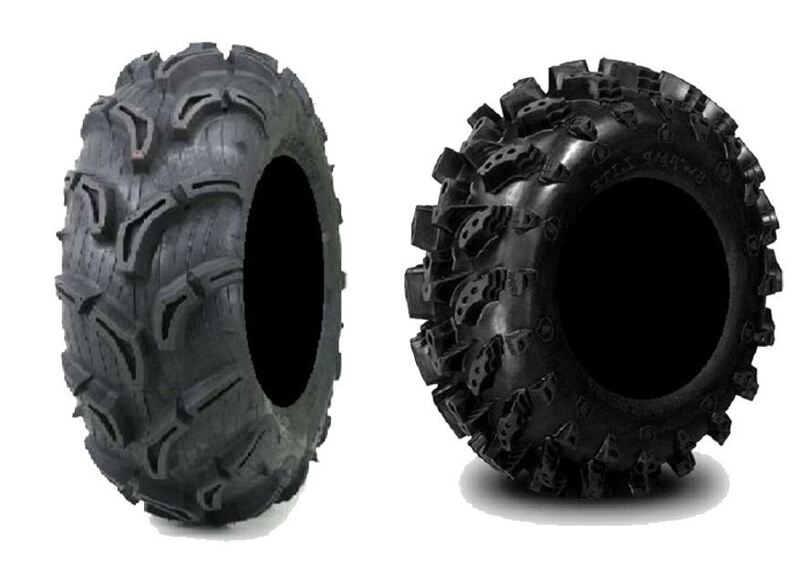 Are you looking for a new set of tires for your ATV? Of course, for off-road terrains, an All-Terrain Vehicle or ATV is your best bet. Even so, still, the performance of the vehicle is greatly affected by how good the tires are. Bad tires are just going to be an annoying inconvenience, by either pestering you to clean the mud often or getting worn off in no time. Right now, there are two popular models of ATV tires, Maxxis Zilla and Swamp Lite. Below, we’ll get to know better about these tires and their comparisons to each other. Which one should you get? Unlike the tires for a regular car, the tires for an ATV should be much more rugged and durable. That’s just natural, since you are going to take them to harsh and heavily demanding terrains. You obviously don’t want any of the tires to break down in the middle of the trail. Both Maxxis Zilla and Swamp Lite are quite rugged and durable, but we should note that Maxxis Zilla is made from a lighter and softer compound. As the effect, Maxxis Zilla is more lightweight, allowing your vehicle to roll faster. But it is not very durable; it can get worn off pretty quickly if regularly used on hard packed roads and extreme trails. On the other hand, Swamp Lite is made from a harder compound. Swamp Lite is quite considerably heavier, but also more durable. Are you looking for tires for low-traction situations or harsh, rocky terrains? These two tires excel in different conditions. Maxxis Zilla comes with a siping that features large elements with a lot of biting edges. It excels in low-traction and slippery environments, such as on mud, sand, or snow. The performance is better than Swamp Lite in these conditions. However, as mentioned before, Maxxis Zilla is not for harsh, rocky terrains, as it can get worn off pretty quickly in such places. If you are going to rocky surfaces and trails, then Swamp Lite should be your choice. The glowing attribute of Swamp Lite is the durability; Swamp Lite can last for a very long time even though you take the tires for heavy-duty applications regularly. In general, Swamp Lite makes the better choice. The durability is excellent, allowing the tire to last for a very long time. However, if you specifically need the tires for slippery terrains, then Maxxis Zilla should be your choice, as the performance in such condition is stellar.